This picture just highlights the fact that you select the Connection Method here. I have only one method available to me but you may have more showing like Firewire, Airport, Dial-Up modem or BlueTooth. A step forward on the previous pictiure in that the second drop down is open. 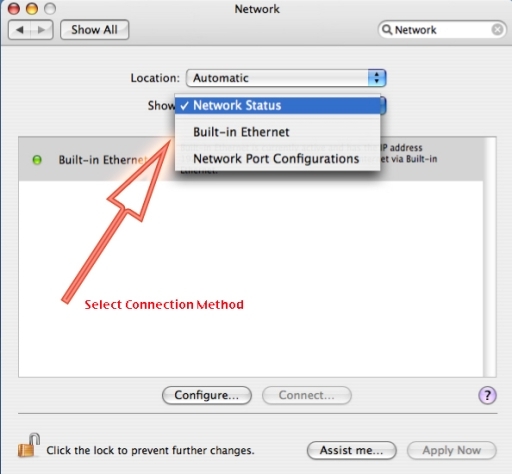 You can use this if the Network is not showing in the list. This will because of a previous visit you may have made as it stays where you left the selection in ther drop down. As I note in the main panel the list may contain more Network options.